Professional Movers.com is your Suburban Detroit warehouse management, distribution, fulfillment and warehouse storage service company. 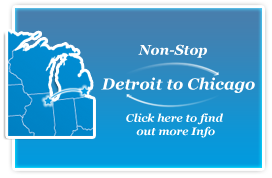 We have warehousing and distribution operations conveniently located in and around Detroit, Michigan. In addition, through our partnership with Wheaton Worldwide, there are over 250 Wheaton agents nationwide in nearly every major market. This allows Professional Movers.com to offer our customers the most well positioned and efficient network of distribution channels. We offer over 30 years of experience, specializing in warehousing and distribution solutions for customers in the automotive and manufacturing, chemicals, food and beverage, hospitality, paper, robotics, and consumer products. We have thousands of square feet of warehousing space available for our commercial customers. We have palletized storage, as well as rack storage for large or unique commercial goods. Our warehouse is fully equipped with fire and theft protection systems that monitor the facility around the clock. We are fully-insured, and our warehouse is climate-controlled to protect your goods from the elements. Our Michigan distribution services are comprehensive, expedient and efficient. No matter where your items are coming from or heading to, we will use the most effective resources in the design of your distribution solution. Opening up a new hotel? We can receive all the furniture and fixtures, provide short term storage, and coordinate the delivery and installation by room or by floor. Closing a plant or research laboratory? We can remove all assets, provide short term storage, distribute to multiple locations, and dispose or recycle any surplus. Changing your vendor for copiers, printers, and faxes? We can coordinate services for one or both vendors. We will receive new product, deliver, and install at an agreed upon schedule suitable for both vendors. Professional Movers.com can also remove the old product and provide transportation to the vendor’s refurbishment center. Installing new bar code scanners and cash registers at retail stores? We can transport the new equipment from the manufacturer, provide short term storage, coordinate the after-hours delivery to the retail site, remove the old equipment and provide transportation of the old equipment to a refurbish or recycling center. Your company may have a need that we have not identified here. Use the form on the left to contact us and one of our Certified Warehousing Consultants will be in touch with you shortly about your warehousing needs.